※ 반려동물 건강식품은 대한민국 관세법에 의거, 주문건당 5kg 이상일 경우, 과세 대상에 포함되오니 주문에 유의하시기 바랍니다. • 반려견 몸무게에 따라 섭취량을 조절할 수 있습니다. • 아래 섭취방법을 참고 하시기 바랍니다. • 어린이 손이 닿지 않는 곳에 보관하세요. • 직사광선을 피해 서늘하고 건조한 곳에 보관하세요. • 뉴트라맥스 코세퀸 제품은 씹어먹는 제품으로 반려견용 관절 건강 보조식품입니다. • 미국 수의사 권장 #1 반려동물 관절 영양제! • 관절 및 결합 조직 건강 유지에 도움을 줍니다. • 연골의 생성과 유지에 도움을 줍니다. • MSM은 건강한 면역체계 유지와 세포 건강에 도움을 줍니다. 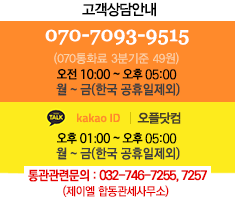 • 오메가-3 40mg 함유, 오메가-3는 반려견의 건강한 피부와 눈건강, 윤기나는 털에 도움을 줍니다. 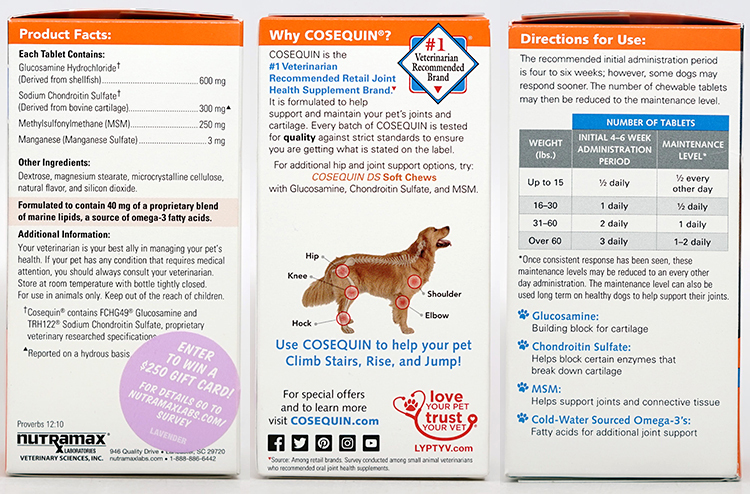 - Give Cosequin DS Plus MSM with your dog's meal or after feeding to avoid stomach upset. - Cosequin chewable tablets can be given all at once or divided throughout the day. - The recommended initial administration period is four to six weeks; however, some dogs may respond sooner. The number of chewable tablets may then be reduced to the maintenance level. Microcrystalline cellulose, dextrose, natural flavor, magnesium stearate, silicon dioxide. Formulated to contain 40 mg of a proprietary blend of marine lipids, a source of mega-3 fatty acids. 어깨 관절에 도움이 되었으면 하는 마음으로 구입했어요. 유통기한도 길고 저렴하게 구매했네요, 강력추천!